The cost is $6 per lesson + method books. I accept cash and cheques. Please make cheques payable to Anna Scovel. I allow my students to make payments on a weekly or monthly basis, whichever works best for the family. How much do method books cost? It depends on where you buy them, but the price is normally $15-$20 for the 2 required books. Depending on how quickly the student progresses it could take a year or more to finish these books. At that point, the student/family will purchase the next set of books. After registration, I will send information on the needed books. Lessons are 30 minutes long and they are held at a determined time, once a week. After you register, I will work with you to schedule a time that works best for all involved. Lessons are held in my home. After registration, you will be sent this address. Does my student need a piano? Yes! 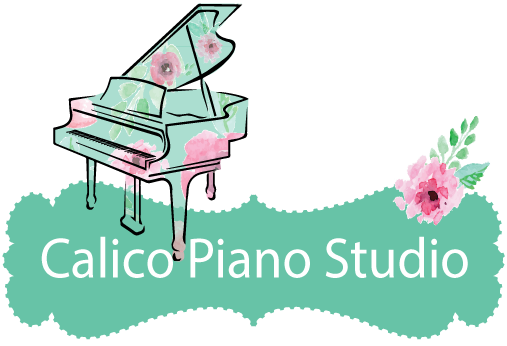 Piano students will not be able to grow their skills without an instrument to practice on. This instrument can be an acoustic piano or high quality keyboard. Visit the Resources page for more on finding the right instrument for your students. When is my child ready for piano lessons? I don’t put limits on how young I am willing to start teaching. Different children are ready to start learning at different times. But it is important that they know these 4 things before they begin. Or, if your child is still learning these subjects, consider Preschool Piano Lessons.